Total Movie Converter Free Download Latest Version Setup for Windows. Its full offline installer standalone version of Total Movie Converter for 32/64 bit. Total Movie Converter is an application that has been developed for encoding different file formats like FLV, AVI, 3GP etc. It is a free of cost application which is very easy to use. The interface of Total Movie Converter is very sleek and simple. The explorer based interface helps users to locate the videos easily for conversion. The videos are shown in a list and it also show the additional information about the video like its name, size and format etc. If you wish to convert Blu Ray then I suggest you to Download Blu Ray Converter Ultimate which is specially built for those who want to convert movies and clips into and from Blu Ray HD format. The conversion process is very simple. All you need to do is to select the video which you need to convert and then select the format in which you need to convert your video into. Then specify the destination folder and the file name and proceed with the conversion process. Total Movie Converter will start the conversion. Total Movie Converter supports batch processing which means you can convert multiple files simultaneously. You can also Download Freemake Video converter which is specially for those who need large number of formats. It supports 200+ audio video formats. Other than just conversion process you can also go on to merge your videos into one another and you can also manage your iTunes content. The videos can also be resized as well as they can be split into several parts. WinAVI All in One Converter is also great alternative to convert videos and multimedia files from one format to another. But Total Movie Converter is mostly used for Full Length movie conversion to mobile formats. With loads of features supported the application still is very light on your system as it takes few system’s resources. Our final verdict about Total Movie Converter is that it is a very handy app that can be efficiently used for the conversion process. Below are some noticeable features which you’ll experience after Total Movie Converter free download. 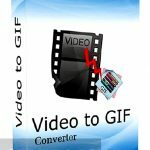 Can convert videos into any format. Can merge and split videos. Before you start Total Movie Converter free download, make sure your PC meets minimum system requirements. Click on below button to start Total Movie Converter Free Download. 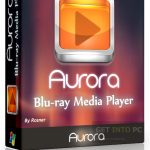 This is complete offline installer and standalone setup for Total Movie Converter. This would be compatible with both 32 bit and 64 bit windows.